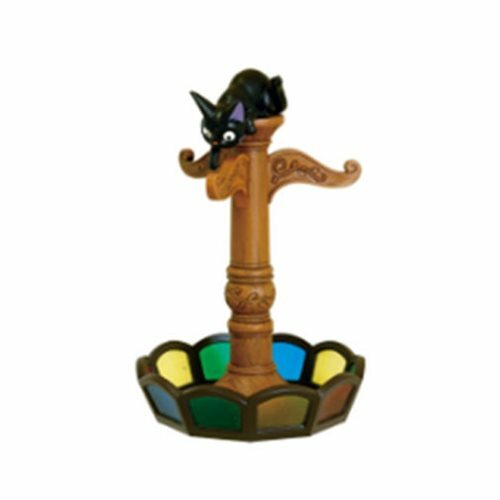 The Kiki's Delivery Service Jiji Stained Glass Accessory Tree is great to keep next to the door for your keys and loose change or on your dresser for your necklaces and rings. The stained glass tray features an antique look with the adorable Jiji making for the perfect combination of cute and classy. Makes a great gift for fans of the Studio Ghibli anime seriesKiki's Delivery Service. Ages 15 and up.